•Gov. Jerry Brown and President Donald Trump are both wrong about the California wildfires, said climate scientist Cliff Mass. •“Governor Brown is not correct that global warming is a significant issue,” Mass said. •“So both ‘sides’ need to stop trying to score political points and deal with the problem,” Mass added. California Gov. Jerry Brown blamed “those who deny” global warming for wildfires devastating the state, while President Donald Trump blamed the blazes on the state’s “gross mismanagement of the forests.” So, who is right? Both of them are wrong, according to University of Washington climate scientist Cliff Mass. 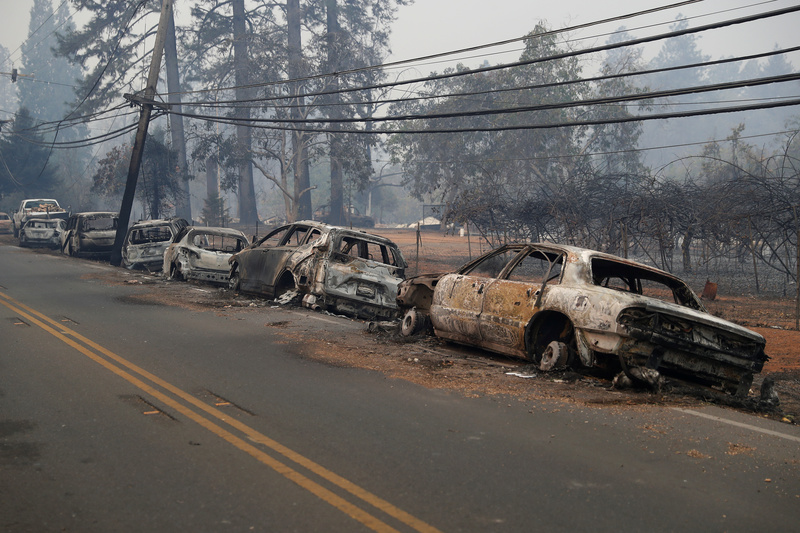 A row of burned vehicles are seen on Skyway during the Camp Fire in Paradise, California, U.S. Nov. 9, 2018. REUTERS/Stephen Lam. 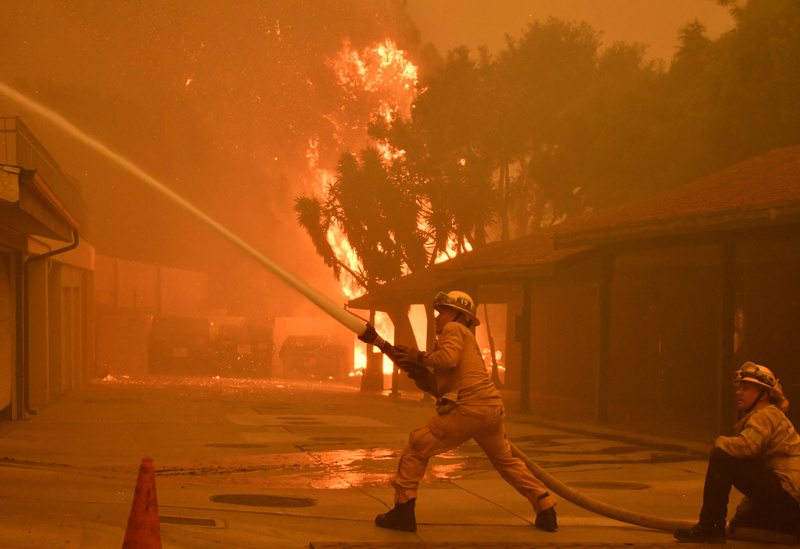 Strong Santa Ana, or Diablo, winds combined with single-digit humidity readings provided the perfect conditions for catastrophic wildfires to ignite and quickly spread. So far, three major fires have scorched more than 221,000 acres since Thursday. The Camp Fire, the largest of the three, consumed 117,000 acres and is only 30 percent contained. While the cause is unknown, the blaze may have been sparked by power line near Pulga, which is surrounded by Plumas National Forest. 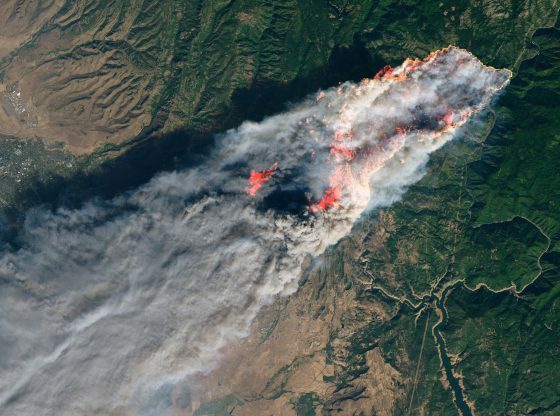 Every time a massive wildfire rages across California, politicians and pundits leap up to assign blame to man-made global warming. News coverage almost always declares the fires “consistent with expectations from climate change,” despite evidence to the contrary. Brown, a Democrat, went so far as to say “those who deny” global warming were “definitely contributing” to the deadly fires in northern and southern California. But experts who specifically study wildfires say climate is only one part of the equation. Land management policies and population growth also play an important role in California wildfires. 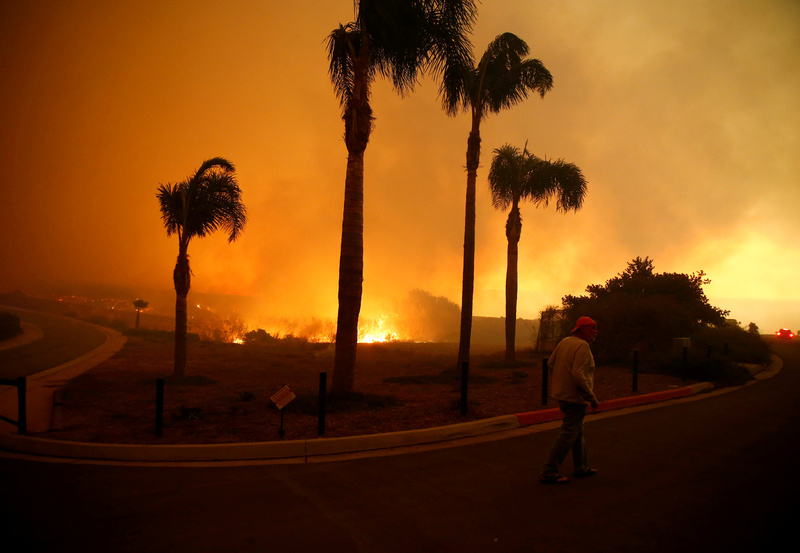 A man walks through a neighborhood threatened by flames as the Woolsey Fire burns in Malibu, California, U.S. Nov. 9, 2018. REUTERS/Eric Thayer. 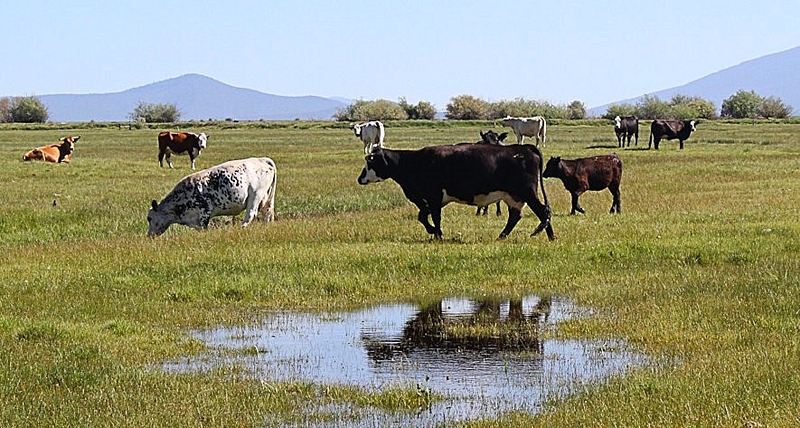 Indeed, the latest National Climate Assessment special report found there’s only a “low to medium confidence for a detectable human climate change contribution in the western United States based on existing studies.” That report was published in 2017. Most California fires are human caused, and while the number of fires is decreasing, the size of fires in some parts of California have grown, past research shows. 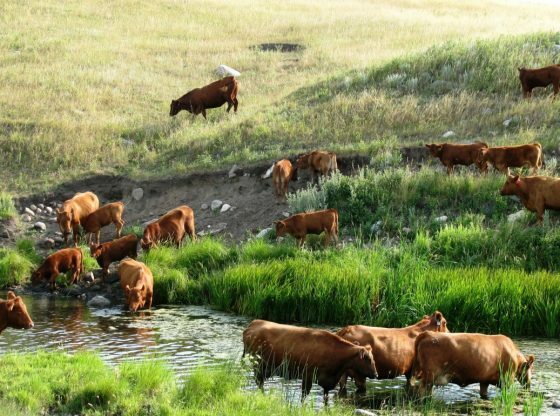 Some scientists say global warming has helped dry out vegetation in the west, making the region more vulnerable to fire. But as Mass noted, California is dry enough this time of year to spark massive wildfires even without any global warming. It’s local weather, primarily low humidity and Santa Ana winds, that make the state vulnerable to fires. “The temperatures were colder than normal over Northeast California and Nevada, which helps produce inland high pressure that produces the winds,” Mass said. In such conditions, sparks from vehicles, lawn mowers and power lines can easily set of major blazes. 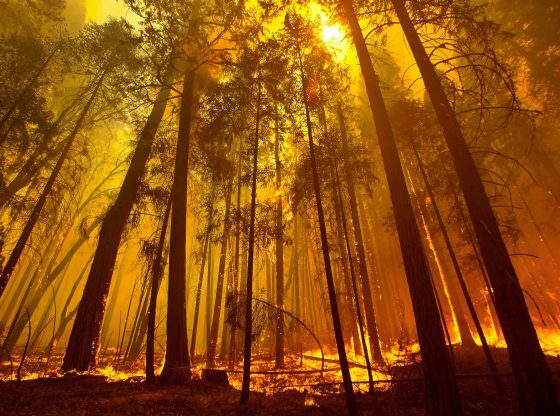 As the population spreads into fire-prone landscapes, so does the risk of human-caused fires. Firefighters hose down a condo unit during the Woolsey Fire in Malibu, California, U.S. Nov. 9, 2018. REUTERS/Gene Blevins. Trump blamed California’s “poor” forest management policies for wildfires. And while wildfire experts do agree in general that faulty forest management is making fires worse, those practices had little to do with the current fires. “A fact-based view would note the key role of the strong offshore-directed winds (which should WEAKEN under global warming), the role of human ignition, and the massive invasion of flammable wildland by people during the past fifty years,” Mass told TheDCNF.